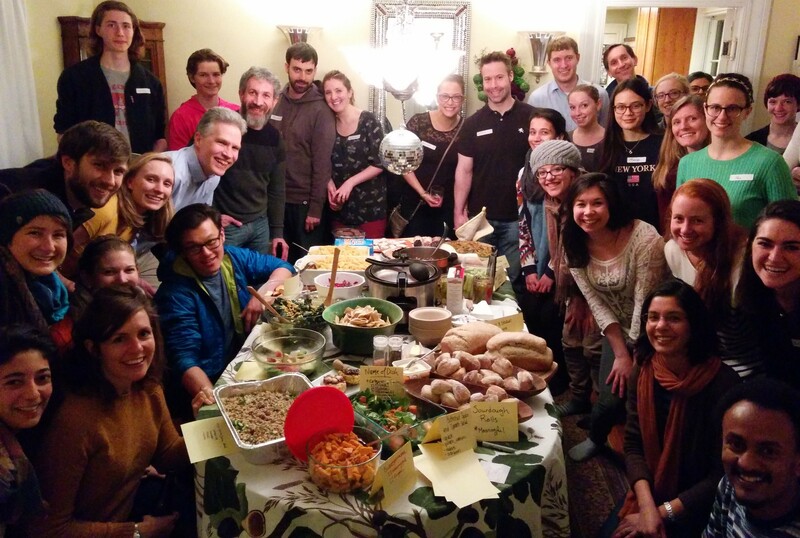 Our fourth annual Econ o’Food potluck was last night, the biggest ever and great fun. A fun feature of NUTR 238 is our annual econ-of-food potluck dinner, to celebrate the privileges of modern food culture. So many choices! The idea is to show off our amazing dietary optimization skills, with prizes for the best dish in each of several categories.